The English translation has no connection to the true and deeper meaning of this wonderful verse. The Zohar explains that the truth is the aspect of the central column, Tiferet, Jacob. The ‘purple’ part of the head is the aspect of the Shechina that is protected with the five angels whose initials for the word ארגמן, means ‘purple’. The King is the aspect of Chessed, Abraham. ‘Captive’ is the aspect of the left column, the Tefilin of the left arm Isaac that was bounded by his father, Abraham. Jacob as the central column, created for us the channel to the light. He is also the aspect of the Tefilin of the head that have four chambers that represent the name YHVH. Jacob learned from his father Isaac and his grandfather Abraham, how to bring the right and the left to form a central column to have control over the physical world. In this verse we see how Jacob connected the channels (gutters, בָּרְהָטִים) of light (water) to control physicality. Immediately after this explanation, Rabbi Shimon summons the angels of the upper and lower levels to witness the ‘decorations’ of the bride, that is the revealed secrets of the Torah that they just discussed. He also calls upon Elijah to come down with souls of righteous people from heavens to connect to the light that was just revealed. Elijah came down in an instant with many angels and souls. The study of the secrets of the Torah that the Zohar reveals for us, connect us to angels and righteous souls that give us protection. 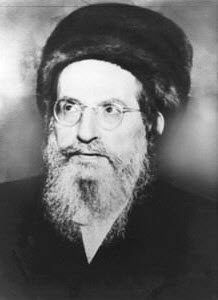 Rabbi Shimon, like Jacob, was complete with his devotion and connection to the light. With truth they could control the central column and draw great light for themselves and to the entire world.